Celebrate Your Special Day and Let the Good Times “Bowl”at GRC! 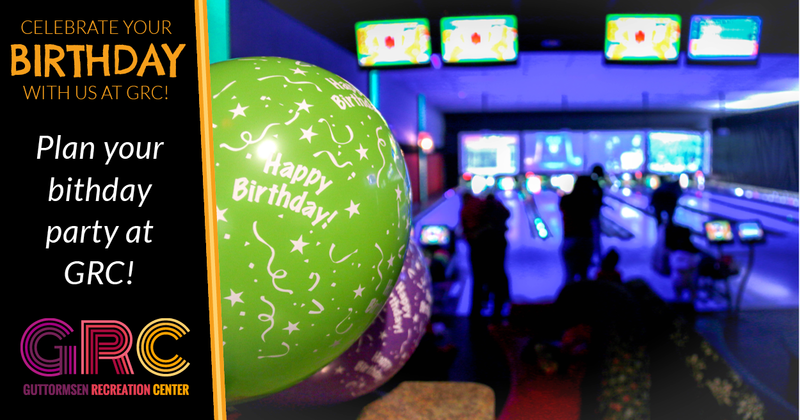 Add some bowling to your birthday at GRC! Let us do all the work while you and your guests have all the fun! We have party packages to suit every age and every budget! See the perks below and contact our staff to reserve your date today! Our standard (gold/silver/platinum) birthday party packages start at just $64.99. Every package includes bowling, shoe rental, pizza and soda. New: each package (except for Cosmic Bowling) also includes a personalized bowling pin for the guest of honor! For teens, we offer Cosmic Bowling for $89.99, which includes shoe rentals, three hours of bowling, pizzas, and unlimited soda. Xbox on projection screen and private lounge seating. Two reserved lanes (no more than five people per lane). Contact us today at (262) 658-8191 for more details!